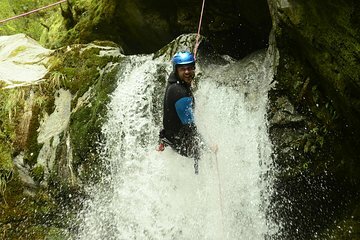 Go canyoning; a combination of swimming, sliding, climbing and rappelling, during this adrenaline-fueled activity in Wanaka. Follow your expert adventure guide to the mouth of the UNESCO World Heritage-listed canyon, then start exploring with a small group of 5 people or less. No prior experience is necessary, just bring your sense of adventure and get ready to discover the stunning scenery in Mt Aspiring National Park. Lunch, round-trip transportation and use of all equipment are included.